1942 –Daddy worked Maries Day off. Sun shining Bright Marie went To Little Theater I & Dad went To Bed early. 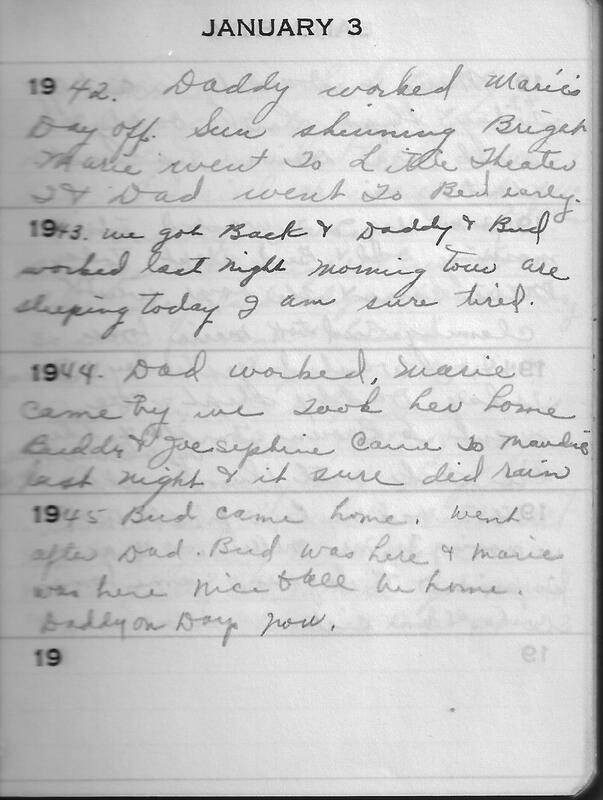 1943 –we got Back & Daddy & Bud worked last night morning tour are sleeping today I am sure tired. 1945 – Bud came home. went after Dad. Bud was here & Marie was here Nice to all be home. Daddy on Days now.